Marvel makes cinematic history as it unites the Super Hero team of a lifetime. 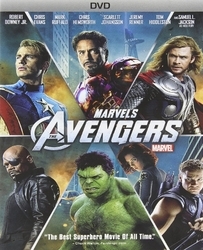 Iron Man (Robert Downey Jr.), Captain America (Chris Evans), The Hulk (Mark Ruffalo) and Thor (Chris Hemsworth) assemble together for the first time ever in this epic, action-packed blockbuster - alongside Black Widow (Scarlett Johansson), Hawkeye (Jeremy Renner) and Nick Fury (Samuel L. Jackson). 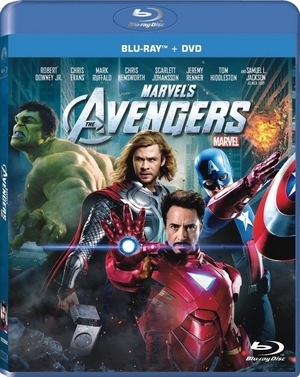 Director Joss Whedon creates an unprecedented masterpiece that has become a global phenomenon. 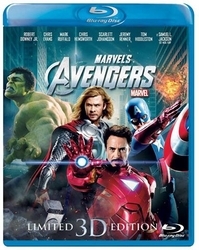 Packed with spectacular special effects, this must-own movie sensation boasts exclusive bonus features that transport you deep into the world of Marvel's The Avengers, including a never-before-seen Marvel short film, an interactive Second Screen Experience and Marvel's highly anticipated, first-ever Gag Reel!